I’ve mentioned many times how important it is to have an email list if you teach online or have a website. But, what if you don’t teach online? Well, if you currently teach in a traditional setting, you should seriously consider getting in on the online action and start an email list. Not only does this set you up for the long term professionally (and personally), but it also opens up a whole world of opportunities to make your lessons creative, more engaging and relevant, and more effective. Email remains the most powerful (and safest) way to connect with your students, past and present. Twitter, Facebook, and Google Plus, if used correctly, are great communities that teachers should be using to engage with past, current, and potential students, along with other teachers. But, using a platform that you don’t own to build your most important contact list is risky. Additionally, these platforms can’t compare with email when it comes to engagement. 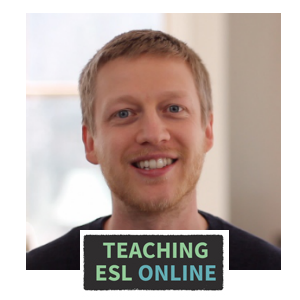 When discussing what it is like to teach online, Mau Buchler, in his recent guest post, talked about why it’s important to work your connections (ex-students) when trying to find clients for your online lessons. I’ve been able to do this to a certain extent, and it has proven to be a very effective way of finding students to teach. In fact, along with referrals, contacting ex-students has proved to be the best way to fill in the gaps in my schedule. I didn’t kept a record of the students that I connected with during my time in Spain. I should have started an email list for my website as soon as it went live. I didn’t keep a special list for all those who got in touch to take lessons. Everyone who starts to collect subscribers for their blog always seem to say, “I wish I had started doing this earlier.” I feel exactly the same way. I’m not one to dwell on the past, but thinking about all those students who I have lost contact with makes me feel like I wasted a big opportunity. Mau’s post got me thinking about how we can all keep a better record of all those English learners that we come into contact with and make the most out of this list. Let’s start with those of you who don’t teach online, focusing on why you should be doing this to make your classes more effective and to build up a following for your future. I’m really excited about sharing these ideas with those of you who work in traditional classroom settings. There is nothing quite like creating special teacher-student relationships. When there is an understanding, chemistry, and progress, the connection can last a life-time. But, in most cases, students come and go and we lose touch. In your personal email address book. In a specialized email delivery service. The first option is free and easy to do, but has many limitations. The second option is a little bit more complicated (and usually costs a little money), but has the features you need to make use of the methods listed below. There are different ways to get current students onto your list. Signing up your one-to-one students should be straightforward, while your group lessons offer more of a challenge. But, with this challenge comes the opportunity to make your lessons different, exciting, and more effective. Imagine a class of 10 adult learners that meets with you twice per week in a language school. It’s a traditional setting in the sense that you work through a textbook, set homework, and meet in a classroom. However, your classes are different because you find a way to engage with your students online by using an email delivery service. This opens up so many possibilities to make your classes extraordinary, opening up a new world of online resources and activities. 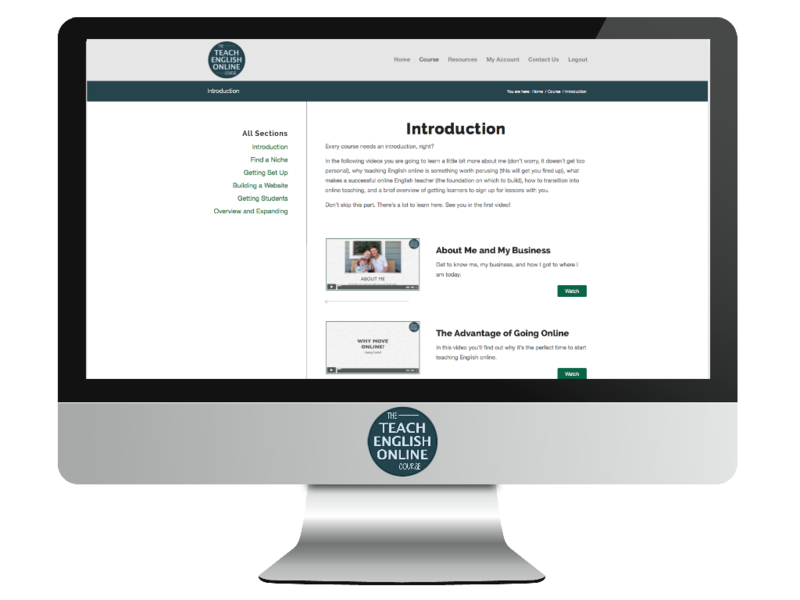 Because I teach one-to-one online it’s easy for me to send the best resources to my students and set online tasks. Using email within this traditional classroom setting makes bridging the gap between the offline and online world much easier, and helps you easily communicate with your students outside of the lesson. Homework could include pronunciation exercises, videos, online exercises, listening practice, writing practice (sent directly to your email and corrected online), and you could use countless other online resources. With email you could send reminders about homework (or even automated reminders about lessons), get in contact with your students who have missed a lesson, send out pre-lesson tasks, and much more. With an email delivery service you can send out materials and homework at a specific time. Imagine that you are in a class and you say, “Okay check your phones. You should have just received your homework.” And there it is, a minute old in their inbox. In my upcoming webinar at Wiz IQ I’m going to be talking about how you can use email and other online resources to help your students work on their pronunciation outside of class; this will include how you can use the best online resources, send audio files specific to your students, and have the ability to evaluate and leave feedback of your students pronunciation, all done online and in your own time. Being able to communicate through email is vital to be able to do this. Teachers don’t have to be restricted by just using the resources that can be brought into class. Email can help you introduce a new world and engage with your students on a different level. It’s summer and your class of students are now moving on. You don’t know if you’ll get to teach them next year. But, because you have their email addresses, you can keep in contact and share information with this group. Keep everyone updated about where you are in the world and what you’re doing professionally. Let them know about the new blog you started and ask them to share it with their friends. Invite them to join your new Facebook group. Let them know that you are offering one-to-one lessons over the summer. Inform them that you are now teaching online and that you are looking for new students. The online world is full of opportunities for language teachers, and if you are considering entering this world, your ex-students are the first place to start. They are your initial followers, the ones who you have already inspired. Having them in an easily accessible email list makes your ability to capitalize on this much easier and much more effective. From November 2011 to April 2012 the amount of visitors to my site increased dramatically. I was getting 13,000 unique visitors per month, the vast majority from Google. I had a stream of enquiries about my English lessons, but I didn’t receive as many as I should with all those numbers. My visitor numbers dropped severely in April. It was the month when Google made a big change to the way it ranked websites in their search results. To say that my site didn’t fare too well is an understatement: my visitor numbers dropped from 13,000 per month to just 1,500. Looking back, it was one of the best things that happened to me as it changed the way I approached getting new students and how I spent my time. During the big traffic months the vast majority of visitors came to my site, got the information they wanted, and then left. I didn’t do enough to engage them – I didn’t feel that I had to due to the number of visitors I was receiving. There was no real reason for them to come back to my site (unless they bookmarked it!). Imagine if I had offered them something for free in exchange for their email? Instead of just coming for information, I could have engaged them by giving something valuable away, and then followed this up with informational mails on a weekly or monthly basis. When you give away something for free by email, and this thing is incredibly valuable, the whole relationship between you and your visitor changes. 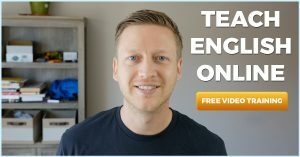 I wanted to test this by giving away something quite remarkable, so I recently started a new 30 day email English course that tries to turn average English learners (of the someday/too tired today mentality) into motivated, pumped up, learning machines. They receive an email each day (sent out automatically) from me with advice and challenges. I respond to every email I receive and offer them the opportunity to practice speaking and have it evaluated with having to be present in real time. The response that I’ve received from this has been incredible and it has already made a big difference to those who have taken the course. They are a little surprised that they are getting this for free. It takes me 5-10 minutes each morning to evaluate the submissions I receive, although it took me some time to initially create the course. The best thing about it is that these people all came from a guest post on another website. Instead of reading that post, coming to my website, taking a look around and then leaving, 150 people signed up to take the course. In return, I built (and am building) a following that trusts me and wants to know more about what I do. A good analogy is dating: in most cases you can’t ask someone to enter a relationship with you on the first date. You have to build things slowly so that they get to know you and trust you. My goal is to get students to sign up for online lessons and future courses that I offer. They are much more likely to do this once we have been on a few engaging dates. Once the learners have gone through the initial 30-day course, I then have the ability to send emails to them. If I choose to, I can send them information about my lessons, information about different products I recommend, and news about any future courses that I may offer. Any information I send them will be full of free valuable information. Trying to hard sell your course early on in your new relationship will, like dating, get you nowhere. An email list also allows me to divide the list by country, by how much they engage with the content, or by other criteria. Personally, I’m going to separate this growing list into different countries and adapt the messages accordingly. I’m also working on doing a similar course specifically for those in my niche. Think about how you could start building your list. How could you get people to sign up? How could you engage with your audience by email? How could you benefit from having such a list? How could you use it with your current students both in traditional and online settings? The only one that I can truly recommend is Aweber (affiliate link) as it’s the only one I’ve had experience with. It’s pretty straightforward to use but will need a little time to set things up and understand the ins and outs of it. It’s $19 a month (for the first 500 subscribers) with the first month being $1. Mailchimp is another popular choice because it’s free to begin with. But, that obviously limits what you can do. And, you could always use your regular email account, especially if your goal is to just to keep a record of your contacts. Just bear in mind the limitations. I also recommend pushing people to sign up for your Facebook groups and other online groups as this is where the sharing happens. As I want to focus on building my list I’ve been pushing more and more people to email first, and then once they have signed up, I ask them to join my other online groups. I also ask them to share the course with others once it is completed. I would LOVE to hear from you regarding your experiences with email, your general thoughts on this post, and what ideas you have for using email in both traditional and online lessons. As always, please share this post if you enjoyed it. Speaking of email, sign up below if you aren’t already a subscriber!